Varkey Gems Foundation, a global education foundation, is set to award a $1 million prize to the best teacher in the world. 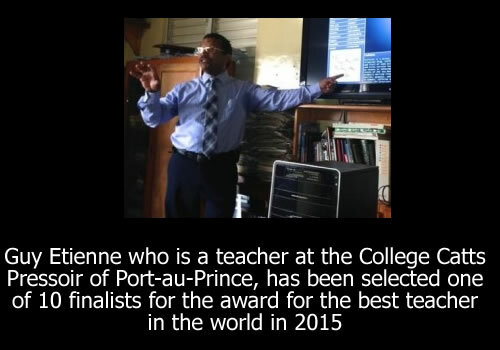 Haitian teacher Guy Etienne is one of 10 finalists in the 2015 competition. Etienne will be judged by a 67-member jury on three major criteria: how he inspires the minds of his students; how he makes contributions within his community, and how he motivates students to pursue teaching as a profession.